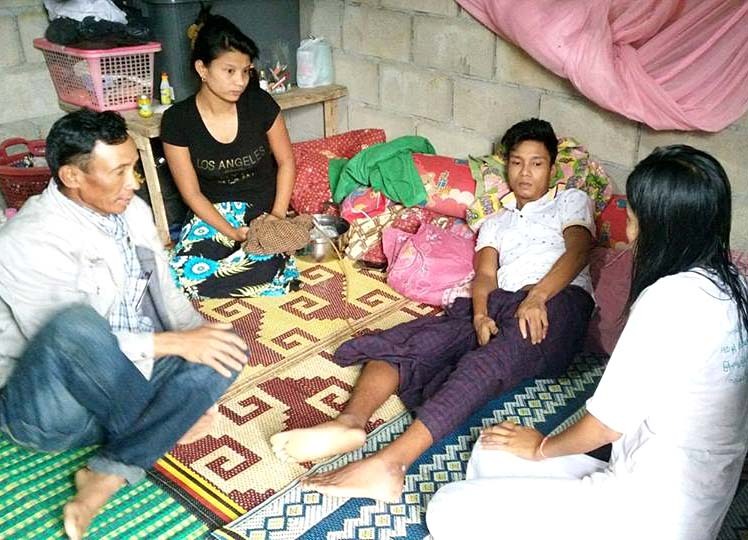 On August 9th, 2016, a Myanmar migrant who had been working at a construction materials shop got injured while he was unloading a delivery truck. 22-year-old Mr. Wai Yan Soe suffered a serious spinal injury and has become paralyzed as a result of the injury. The victim is from Moe Nyo township of Pegu division in Myanmar. He is married, and is living together with his parents in Khuk Khak, a village in Takuapa district in Phang-Nga province in southern Thailand. Further news on the process of the claim will soon follow.